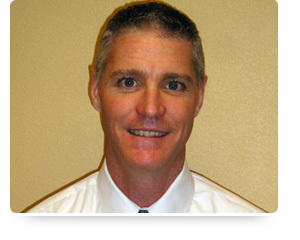 Dr. Scott Timko is originally from Pittsburgh, PA and has resided in Phoenix, AZ since 1999. He took his under graduate studies at the University of Pittsburgh and received his doctorate degree in Chiropractic from Sherman College of Chiropractic in 1993. In addition to his Chiropractic training, he has taken hundreds of hours of continuing education and has received multiple certifications in Rehabilitation and Nutrition. He is married to Nichole and they have a son named Nick. Dr. Timko is an avid sports fan and loves the outdoors and working out. He gives “Life Enhancement Seminars” on various health related topics at the office and throughout the valley. Dr. Timko prides himself on treating each patient as if they were a family member. Along with utilizing the Gonstead adjusting technique Dr. Timko is skilled in a multitude of other techniques as well. These include high velocity corrective techniques such as Thompson, Pierce and Pettibon to low force techniques such as DNFT, Activator and SOT (for those who do not like being “popped”). He is also skilled in extremity adjusting and soft tissue work for all types of acute and chronic extremity issues such as shoulder, elbow, wrist, knee, foot and TMJ problems. Each patient’s adjustment and therapy plan will be based on their particular needs and is not “cookie cutter.” Dr. Timko is happy to use his years of experience to customize a health and wellness plan for you and your family.